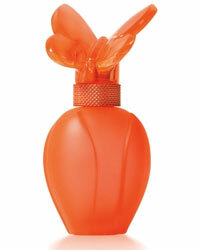 Lollipop Splash The Remix - Never Forget You by Mariah Carey perfume was launched in July 2011 by Elizabeth Arden. This fruity floral fragrance, created by Claude Dir and Marypierre Julian, is described as "a playful and radiant fragrance combination of gourmet jelly beans and golden peony creates a flirty, fun experience." Available in 1 oz. Eau de Parfum for $35.